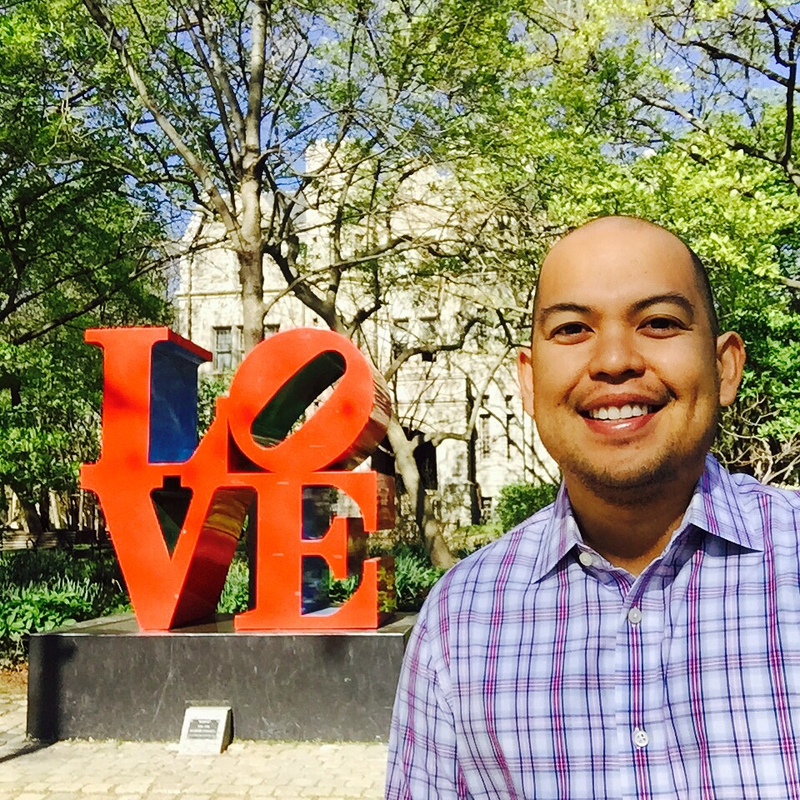 Anthony Ocampo PhD is a scholar and writer who focuses on issues of immigration, race and ethnicity, and gender and sexuality. 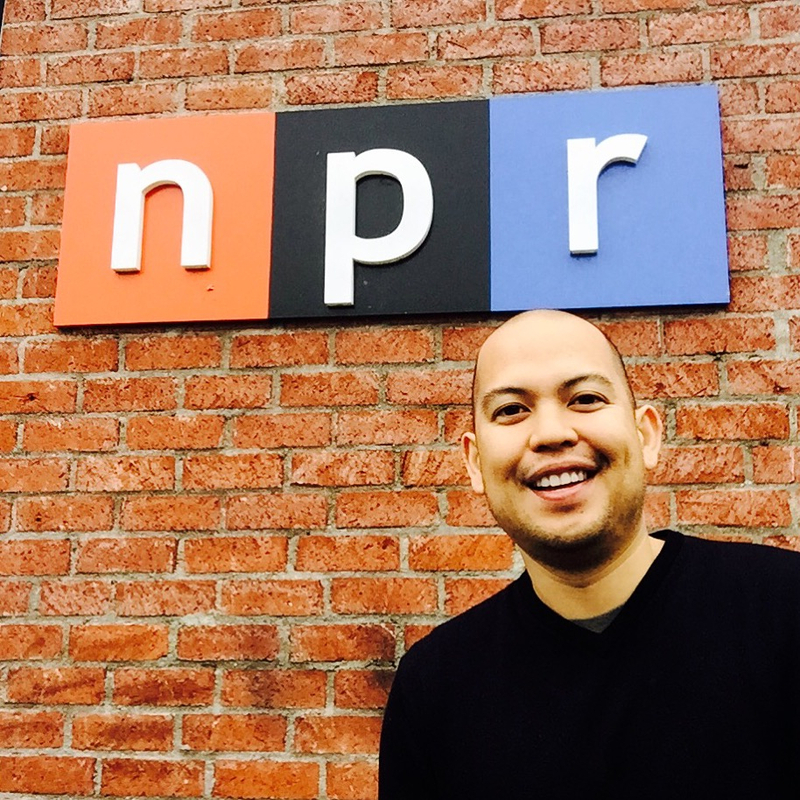 He is the author of The Latinos of Asia: How Filipino Americans Break the Rules of Race, recently featured on NPR Morning Edition. 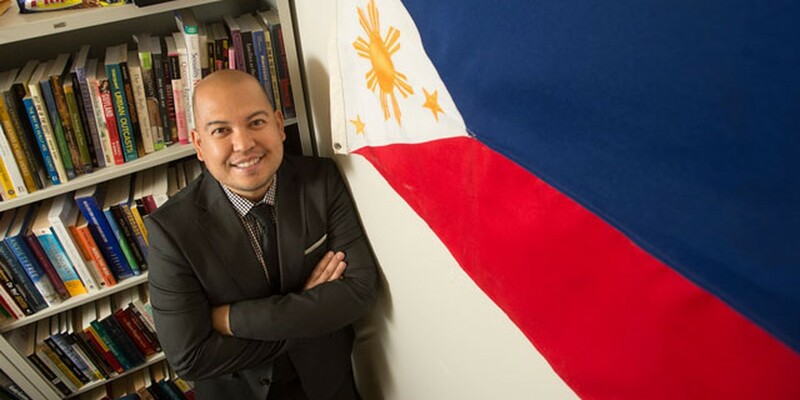 His book examines the racial lives of Filipino Americans, who trace their roots to a society in Asia, but also share many cultural characteristics with Latinos. The Latinos of Asia raises the puzzle: Are Filipinos in the United States “becoming” Asian American or Latino? Ocampo draws on the voices of Filipino Americans to demonstrate how demographic shifts in the U.S. are changing the way immigrants and children understand race. His book also provides a foreshadowing of what race relations in America will look like as our society moves further away from the black-white racial paradigm. 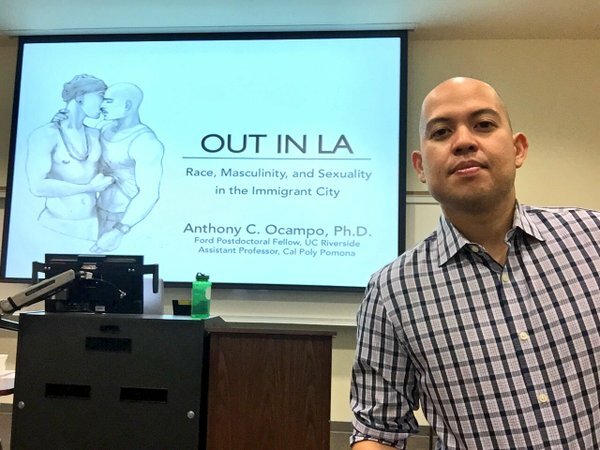 Currently, Dr. Ocampo is working on his second book, To Be Brown and Gay in L.A., which chronicles the way gay men of color from immigrant families negotiate race, gender, and sexuality within their families, neighborhoods, schools, and mainstream LGBT spaces. This book builds on his scholarly research on ethnic and sexual minorities, which has been published in some of the leading journals in the field, such as Ethnic and Racial Studies; Journal of Ethnic and Migration Studies; Race, Ethnicity, and Education; Latino Studies; and Journal of Asian American Studies. Dr. Ocampo has also co-edited two major collections in race and ethnic studies: Contemporary Asian America: A Multidisciplinary Reader and Asian American Society: An Encyclopedia. Beyond his scholarly writings, he has also been featured as a commentator for local and national news outlets, including CNN, 60 Minutes, and The San Francisco Chronicle. 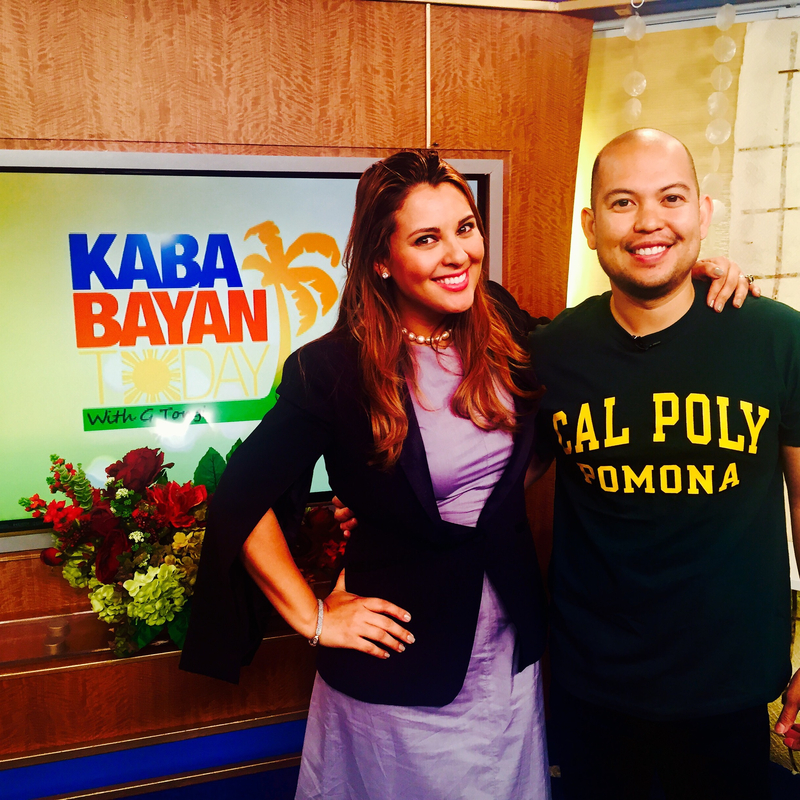 Dr. Ocampo also has a regular segment “All Things Fil-Am with Dr. O” on Kababayan Today, a daily talk show for and about Filipino Americans. Dr. Ocampo is a Ford Foundation Postdoctoral Fellow at the School of Public Policy at UC Riverside and Assistant Professor of Sociology at Cal Poly Pomona. He has served as a dedicated mentor to first-generation students of color through the Ronald E. McNair Scholars Program, and his former advisees have earned admission to prestigious graduate programs at Stanford, Harvard, Columbia, and the University of California. 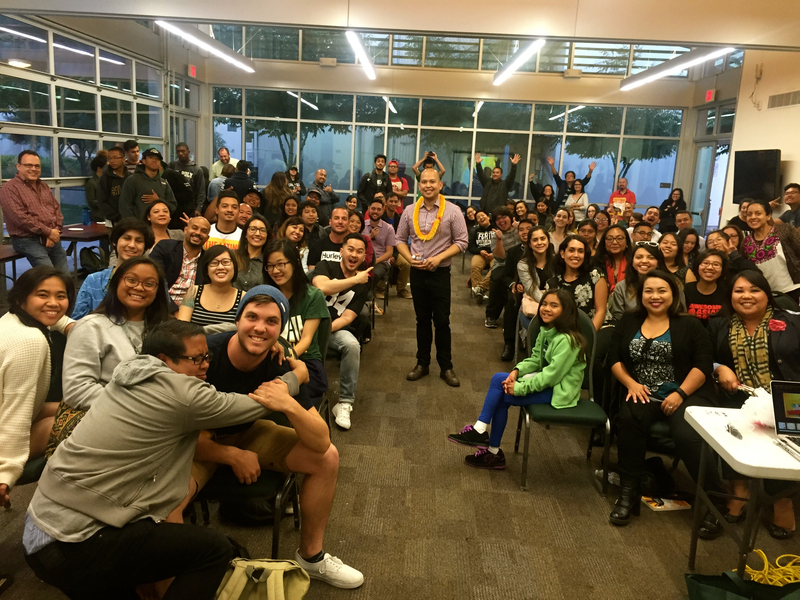 At Cal Poly Pomona, he has been a recipient of the Provost Teacher-Scholar Award and an Outstanding Teaching Award. A native Los Angeleno, Dr. Ocampo is a graduate of Stanford University (BA ’03, MA ’04) and the University of California, Los Angeles (MA ’06, PhD ’11). "It was such a privilege to have Dr. Ocampo speak on our campus. Our students were so engaged and captivated by his research and I believe they were truly made aware of the inequalities that are occurring in our nation today. He is a wonderful communicator and an accomplished expert in his field. As such a welcoming and approachable person, his talk and meet-and-greet was well-received by everyone in attendance." "During his talk, Dr. Ocampo not only kept the audience fascinated - and at the right time, wonderfully amused - he really gave us something to stash away in our heads for later reflection and application. During his presentation, he had everybody engaged, as evidenced by the notetaking during his talk.... Many references have been made to his presentation; he obviously widened the perspective of all the attendees. I am convinced that this was the best workshop at NCORE and much of the credit goes to him." "Anthony Ocampo is an energetic and dynamic speaker. 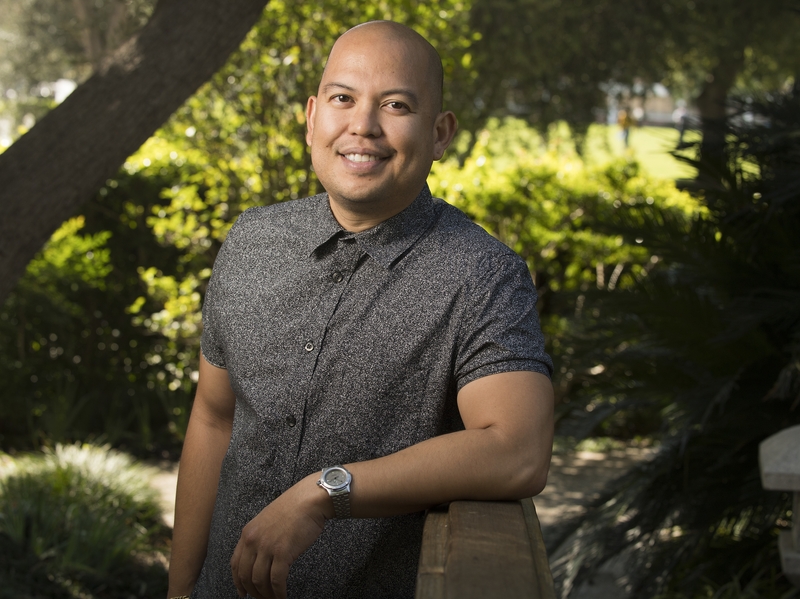 He effectively integrates narratives from interviews with historical legacies of colonialism and recent data to tell a story about Filipino Americans and their identity. His talks appeal to a wide diversity of audience members - from older professors to young undergraduate students." "This is a groundbreaking book about one of the least understood groups of people: Filipinos. As a people, we’re a lot American, we’re definitely Asian, and we’re undeniably Latino. The Latinos of Asia is essential reading not only for the Filipino diaspora, but for anyone who cares about the mysteries of racial identity." "Analyzing Filipino American experiences of 'looking Asian but having a Spanish last name' or 'looking Mexican but identifying as Asian,' Ocampo shows how the children of Filipino immigrants constantly challenge the prevailing racial mapping rules in America. The Latinos of Asia is groundbreaking, offering an ingenious perspective on racial dynamics and formation." “The Latinos of Asia is groundbreaking. Ocampo examines racial identities among Filipino Americans not just in relation to whites, but in relation to other minorities. Through candid and eloquent responses from Filipino American young adults, and engaging links to scholarly discussions, Ocampo tracks the fluidity of race and argues that place matters in how people come to think about themselves." 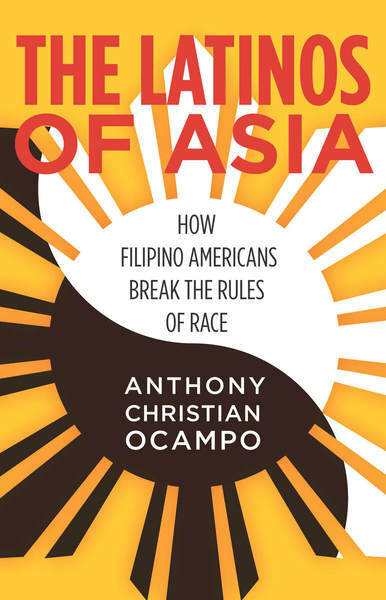 "Anthony Ocampo’s fascinating study illustrates how Filipinos do not fit neatly into American racial categories. His highly accessible narrative carries the reader through different social and institutional contexts that draw Filipinos back and forth over panethnic lines, and challenge our notion of what panethnicity means in America." “Engaging and timely, The Latinos of Asia shatters static, homogenizing, and binary categorizations of Asian Americans and Latinas/os. Presenting powerful testimonials by Filipinos from two Los Angeles communities and centering dynamics in schools and neighborhoods, this must-read book complicates understandings of race, identity, and Los Angeles." Is race only about the color of your skin? In this talk, Dr. Ocampo focuses on Filipino Americans to show that what “color” you are depends largely on your social context. Filipino Americans are officially classified as Asian, but share many cultural characteristics with Latinos. Are they “becoming” Asian or Latino? 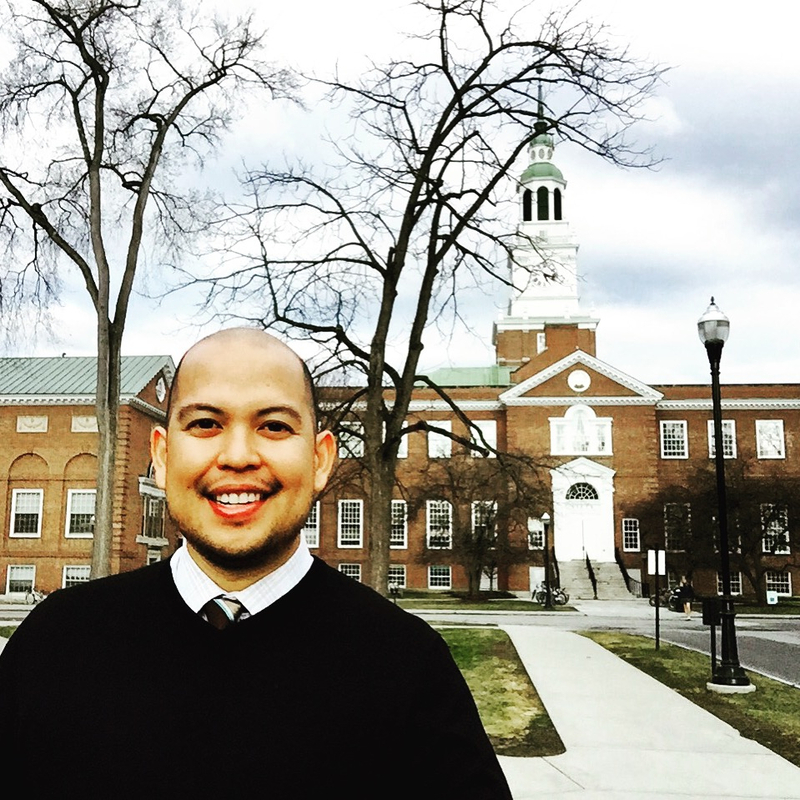 By elevating the voices of Filipino Americans, Dr. Ocampo will discuss how their racial identities “change” depending on the communities they grow up in, the schools they attend, and the people they befriend. This talk offers a window into both the racial consciousness of everyday people and the changing racial landscape of U.S. society. While there has been an explosion of research on the school experiences of LGBTQ students and the immigrant second generation, respectively, few studies have centered the experiences of second-generation youth who also happen to be queer. In this talk, Dr. Ocampo presents findings from his comparative research on Latino and Asian American queer male youth and demonstrates how an empirical deep dive into their educational lives reveals how schools are racialized, gendered, and heteronormative. He also discusses how research on students with intersectional identities holds important implications for theories of educational inequality, educational practice, and community engagement, especially as it relates to immigrant communities. Immigration, race, and LGBTQ rights have been headline issues the past few decades, but the experiences of individuals whose identities cut across all three issues have remained invisible to most. In this talk, Dr. Ocampo why this is and addresses the struggles that LGBTQ people of color face in order to be seen, not just by the public, but also by their immigrant families, ethnic communities, and the the mainstream gay community. Drawing on the experiences of Latino and Asian American gay men, Dr. Ocampo chronicles the creative strategies that they employ to embrace their identities and to create community, even while facing both racism and homophobia in their everyday lives. Studies of masculinity examine the experiences of heterosexual white men and men of color, as well as gay white men. However, significantly fewer studies have thoroughly addressed the topic of masculinity among gay racial minorities. Drawing on ethnographic research of gay Latino social circles in Los Angeles, this talk discusses how Latino gay men negotiate boundaries of masculinity in their social interactions. These men employ specific strategies when “doing” masculinity, which in turn are shaped by their racialization as Latinos within the US context, their gendered socialization within their immigrant family, and feelings of exclusion within mainstream gay spaces. These findings hold implications for better understanding and addressing racial and class schisms within the larger LGBTQ movement.